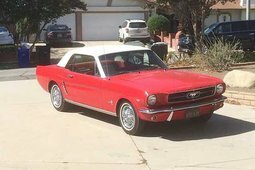 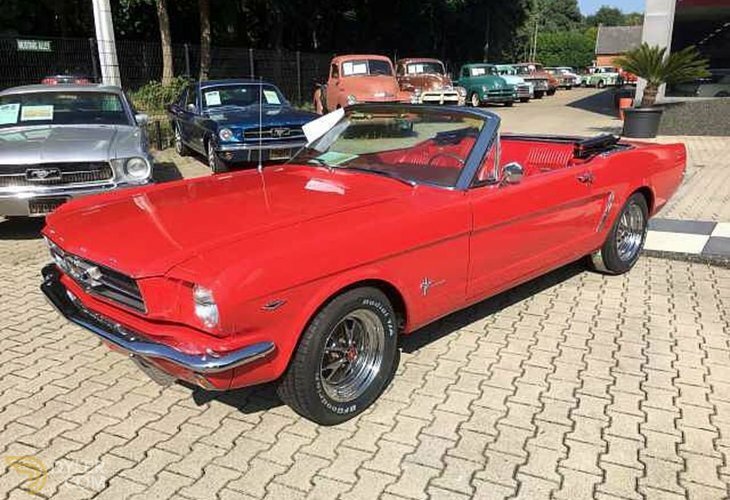 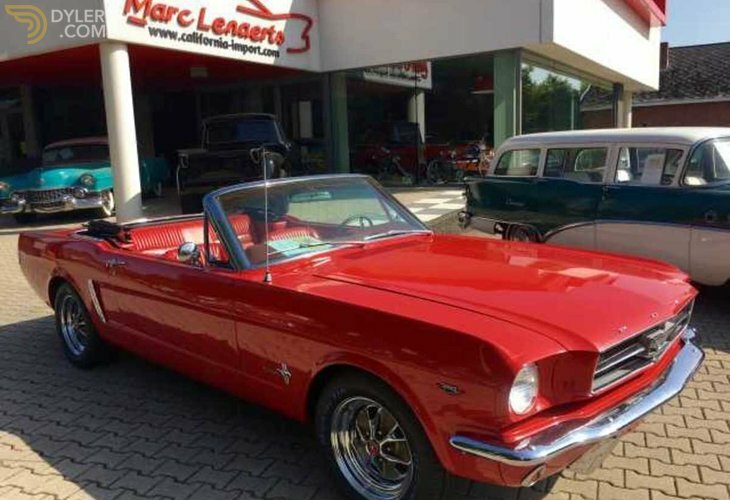 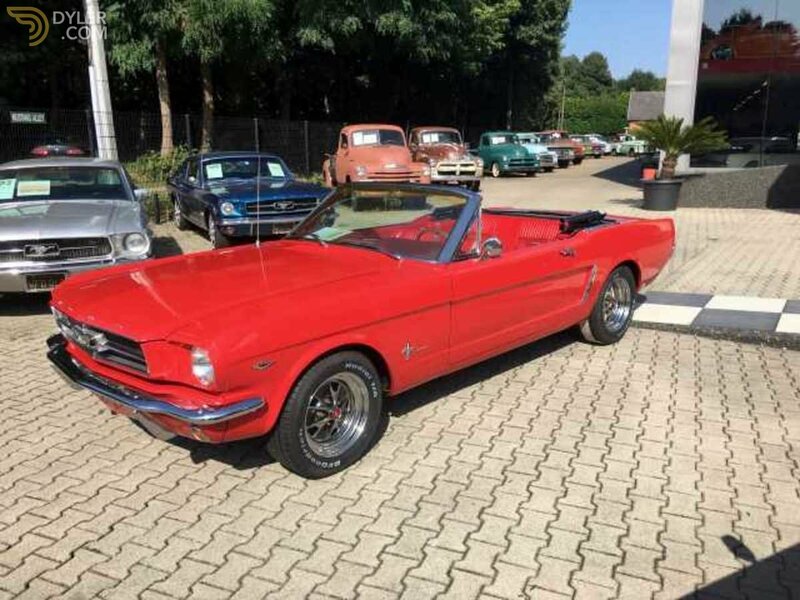 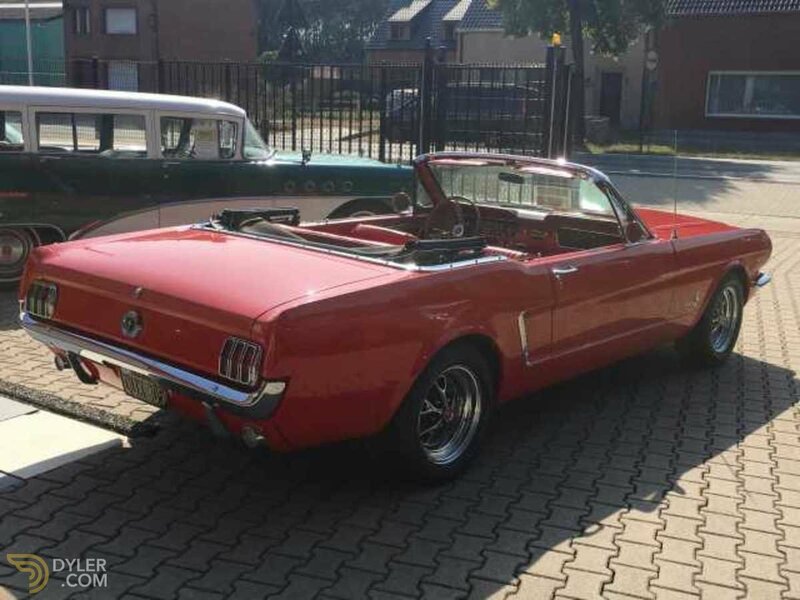 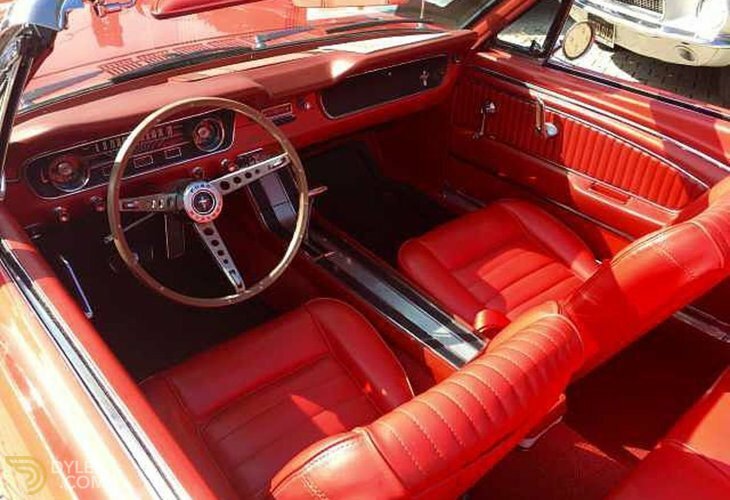 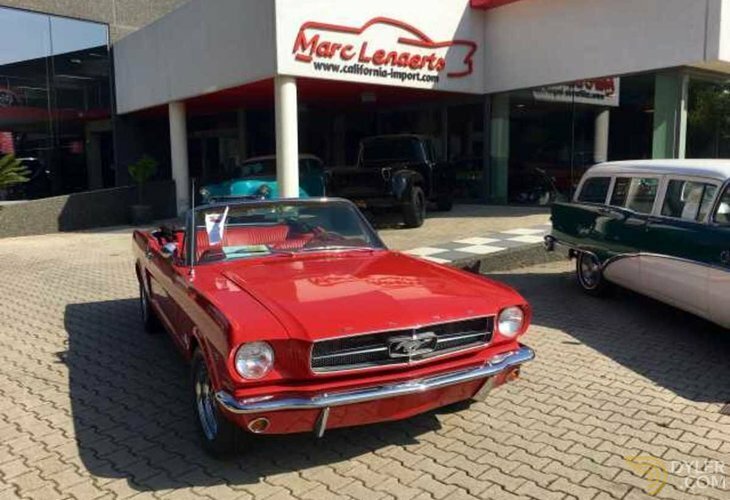 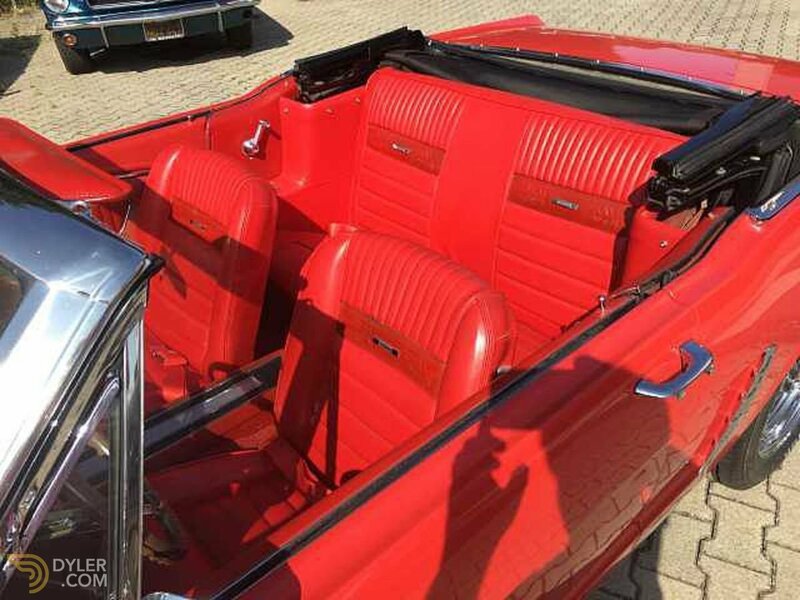 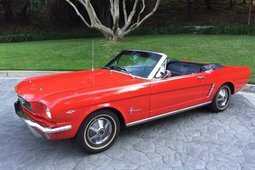 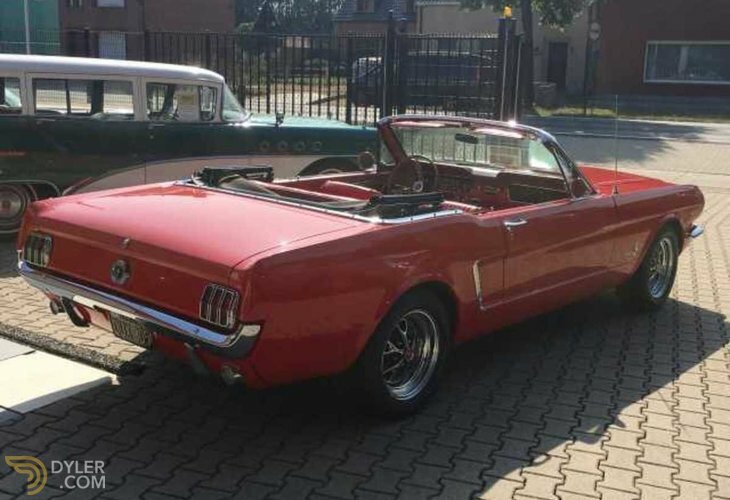 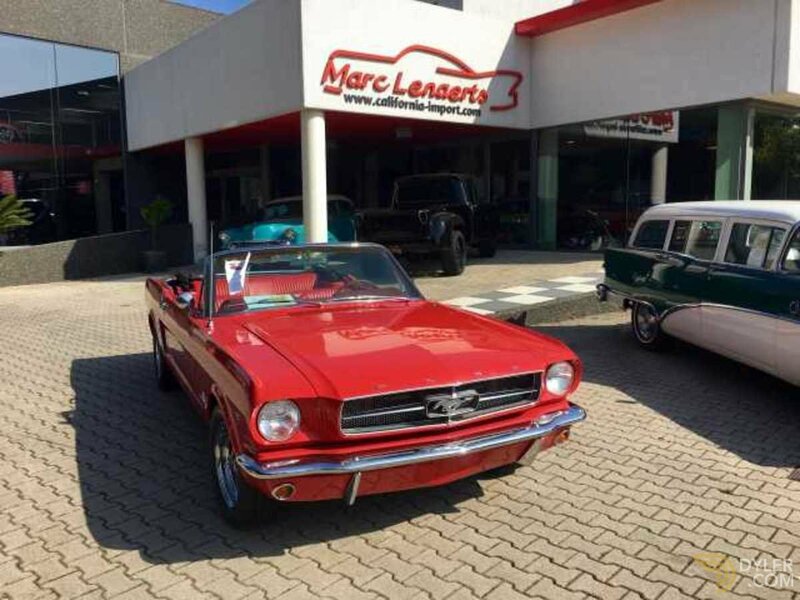 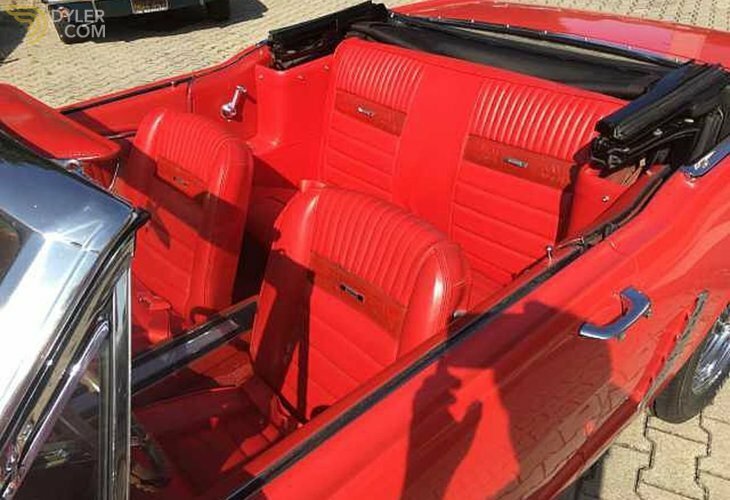 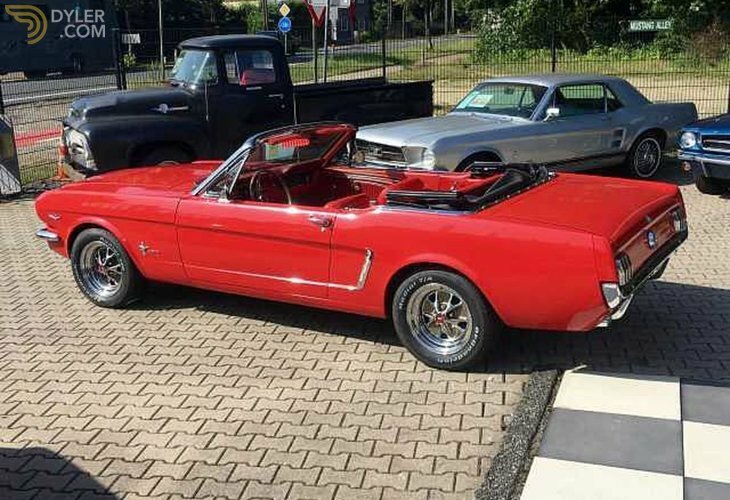 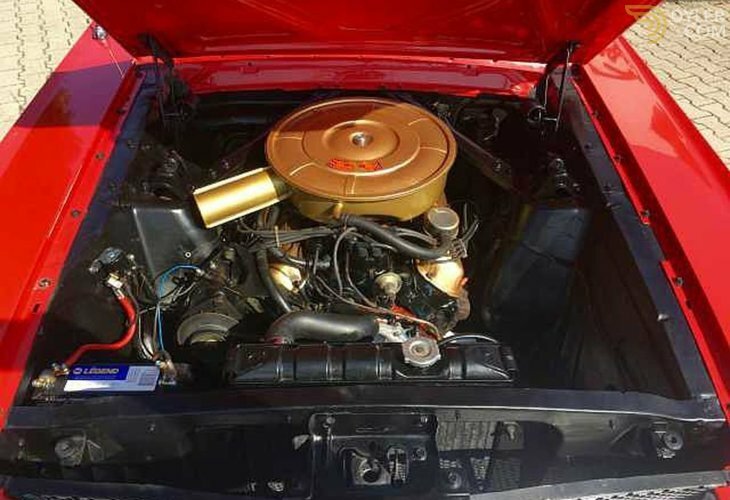 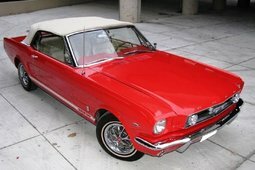 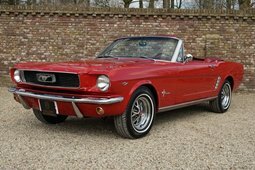 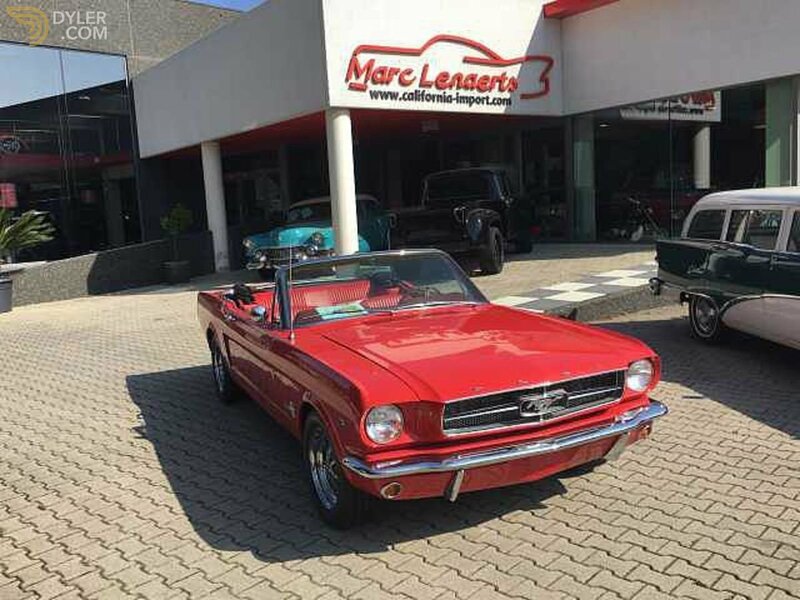 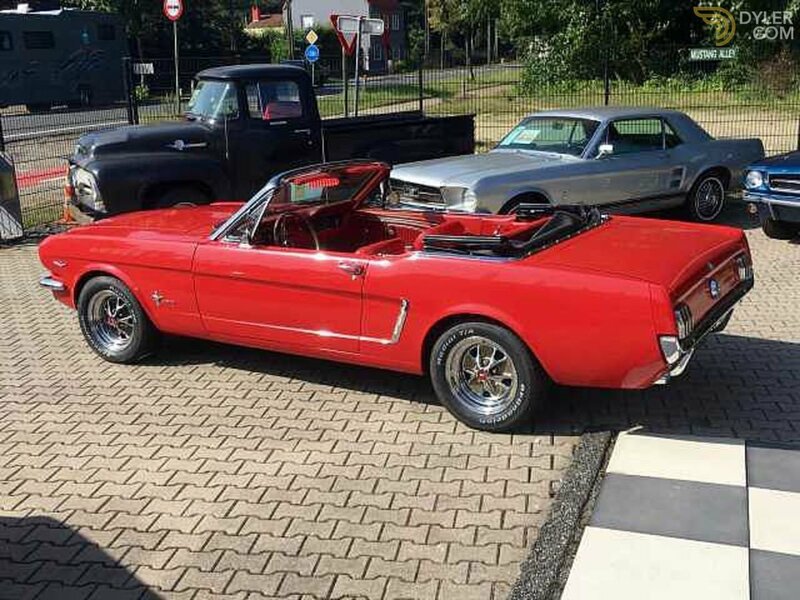 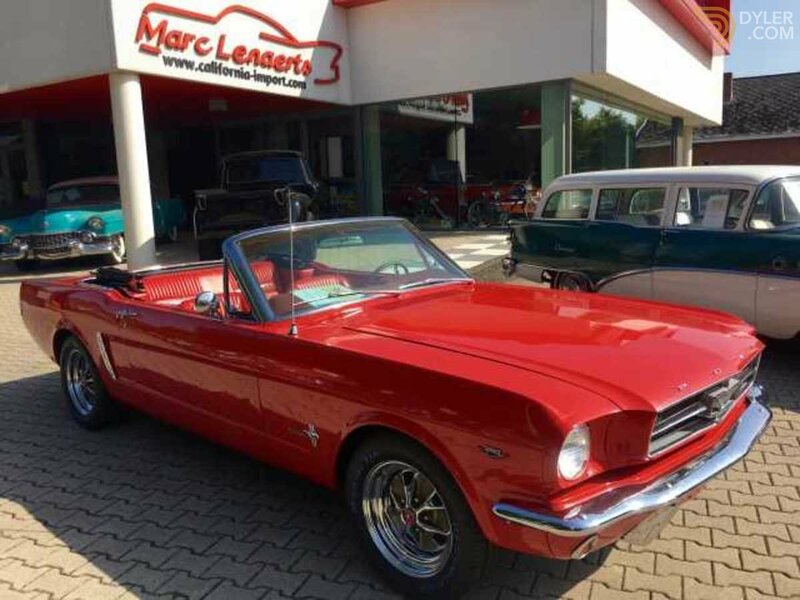 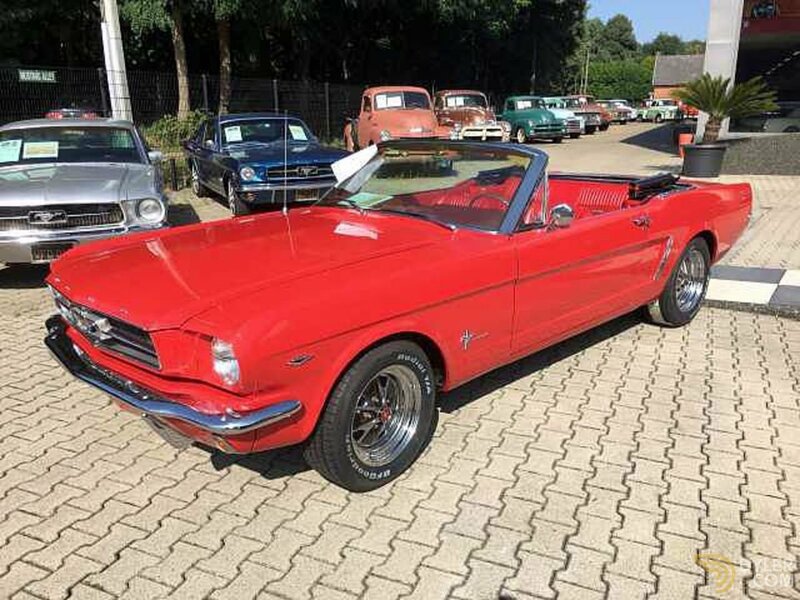 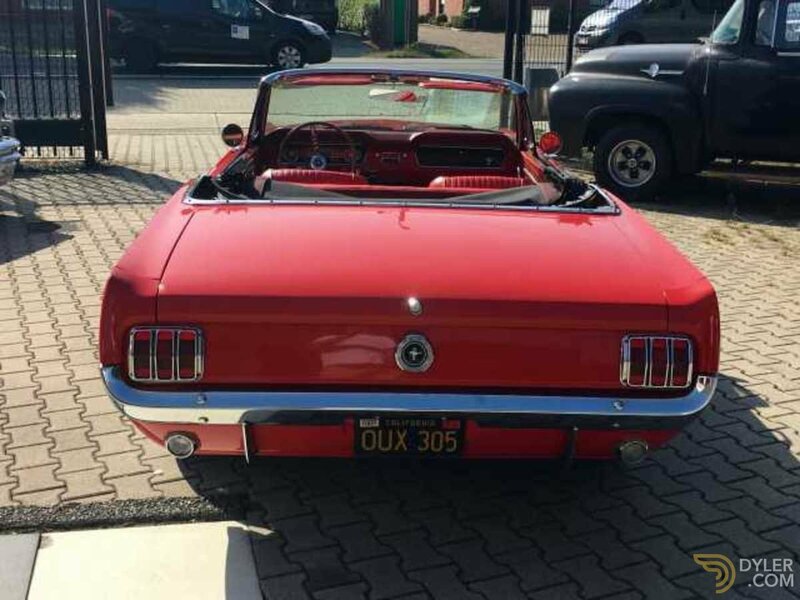 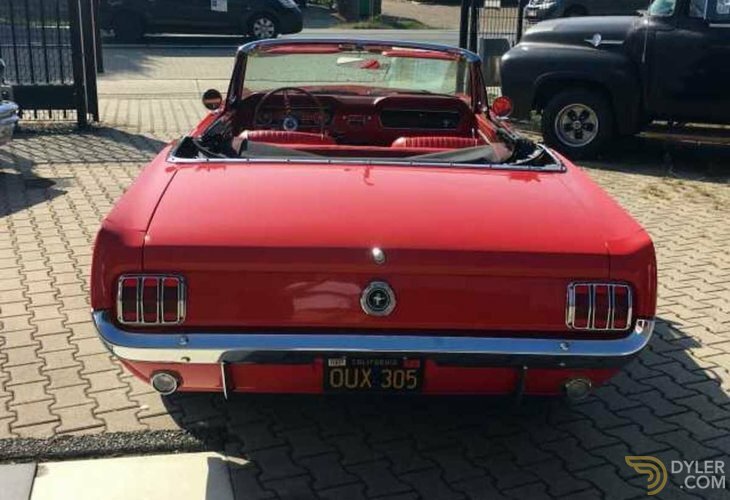 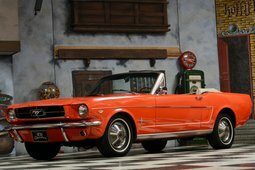 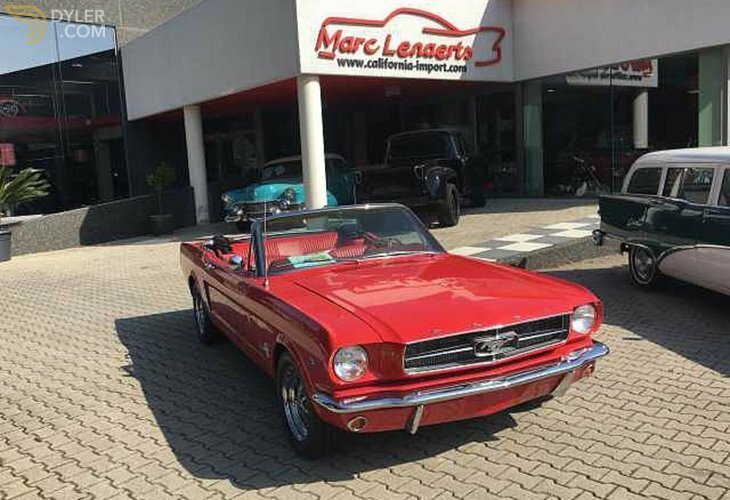 A red Mustang convertible from juli 1964 . 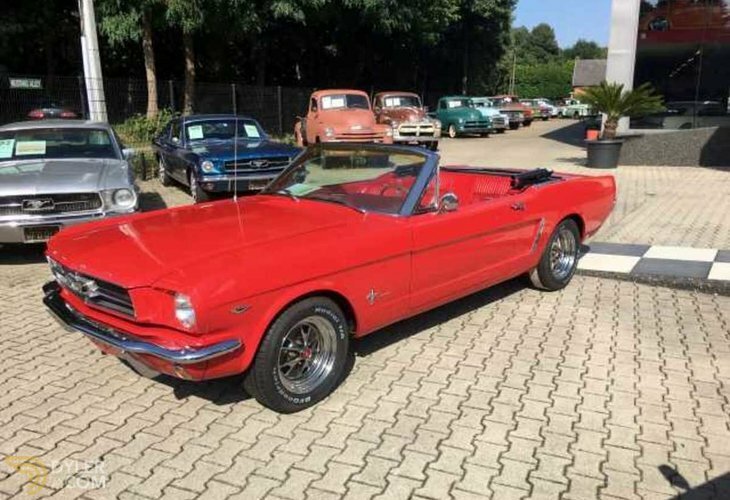 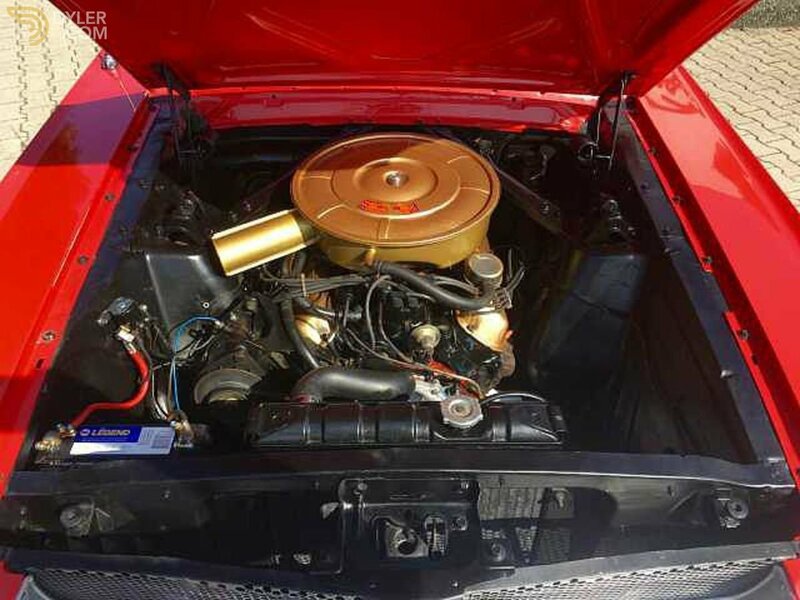 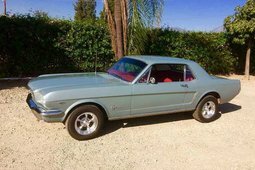 This is a 'F' code Mustang with the 260 ci V8 engine, automatic transmission. 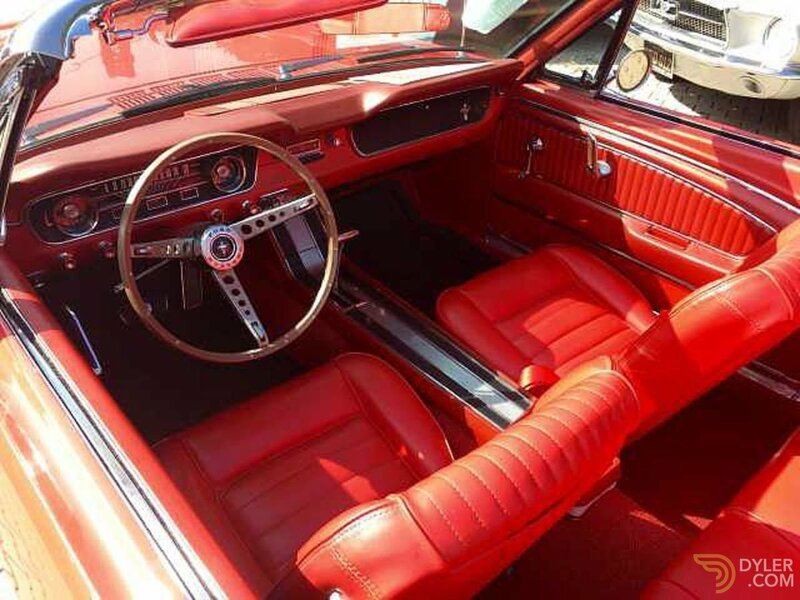 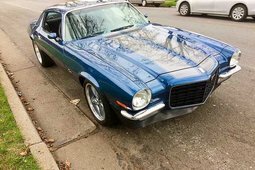 Pony interior, floorconsole, double exhaust.NEW GT WHEELS AND NEW BFG TIRES . 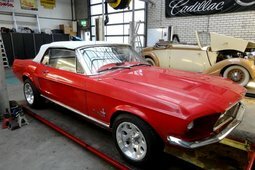 Good sold rust free floors .